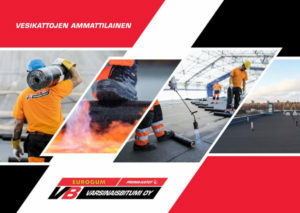 Varsinaisbitumi Oy provides industrial and commercial premises and housing companies with bituminous, polyester-reinforced Eurogum roof covering. 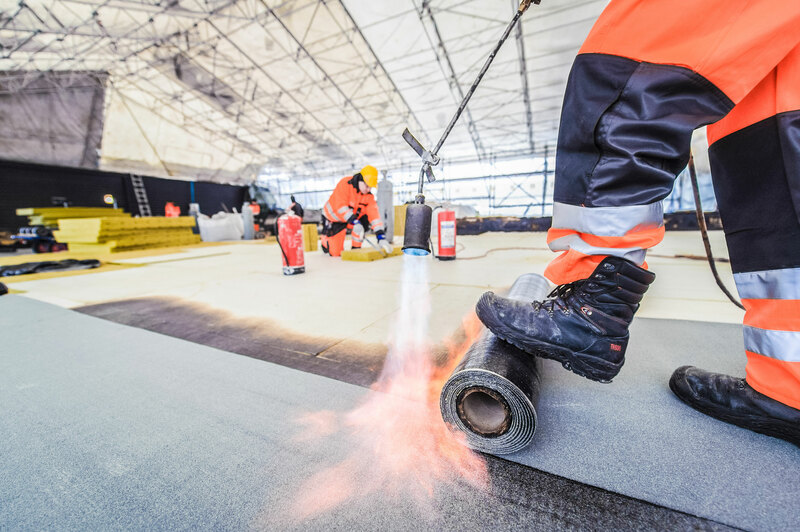 Moreover, we carry out contract waterproofing work in courtyards and car parks. 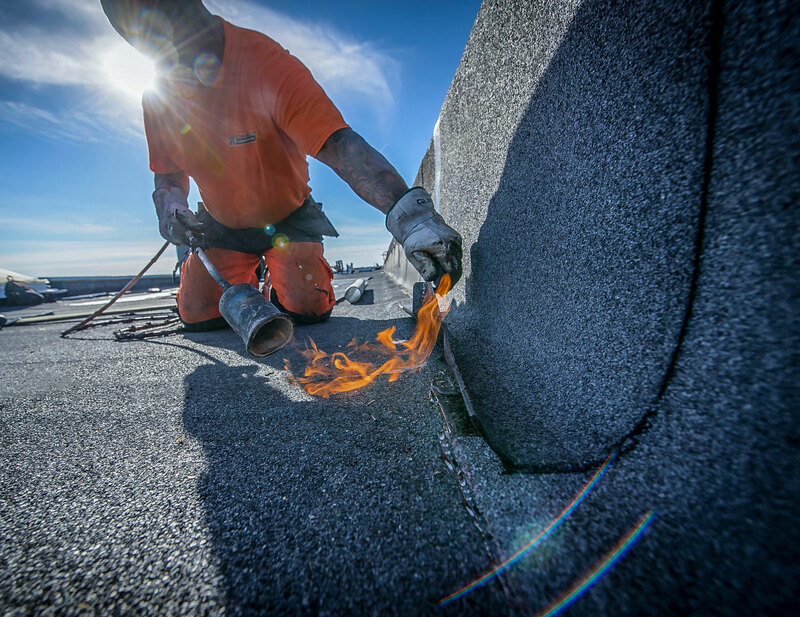 Our range of services include a roof analysis free of charge, on which we can, if required, base an offer and suggestions for repair work, and services provided on a turn-key principle. 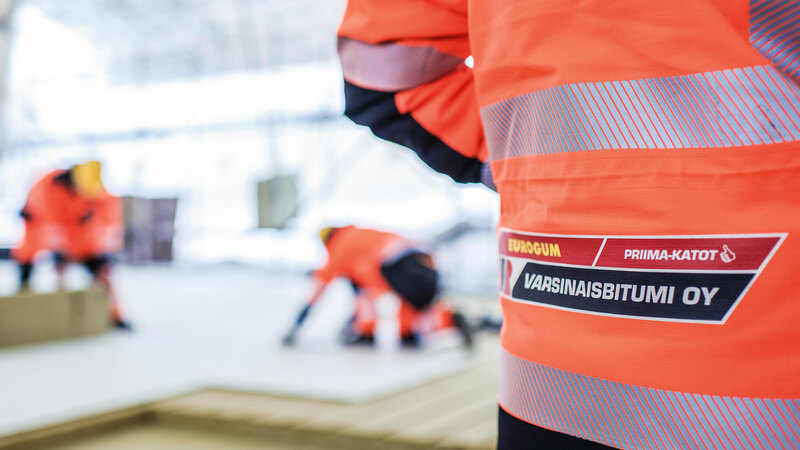 Varsinaisbitumi Oy is part of the organisation, which imports bitumen covering into Finland, and has therefore a direct contact to the manufacturer. 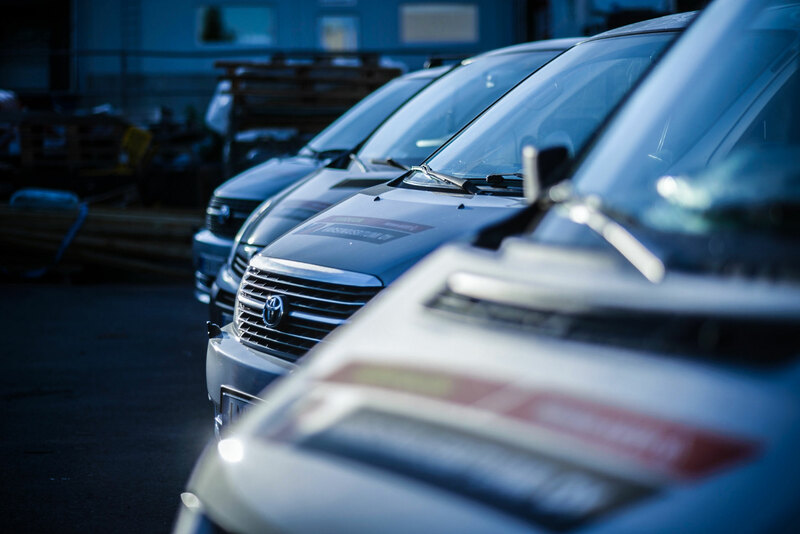 Active product development and continuous, strict quality control are central aspects of this collaboration. 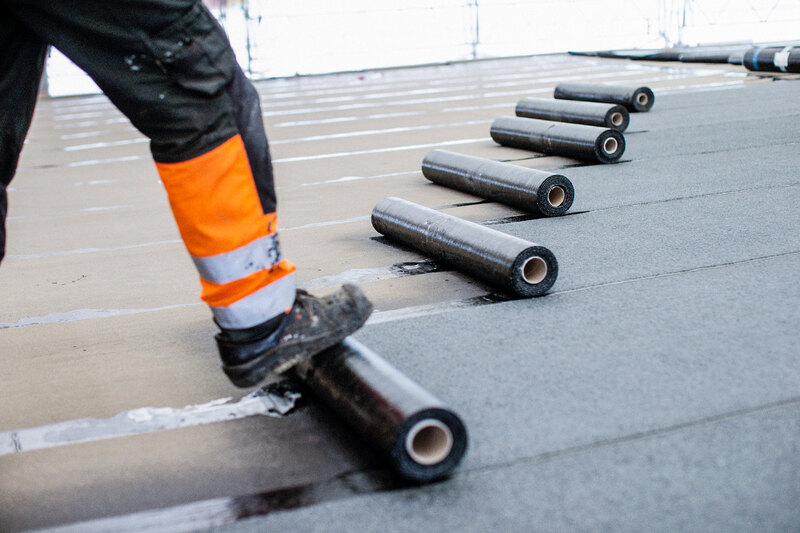 The installation engineers at Varsinaisbitumi Oy are trained construction workers who install thousands of square meters of bitumen roofs every year, always with the same professional pride. Our sheet metal workers produce and install the sheets for the bushings, air-conditioners and roof structures. Careful and precise installation is our trademark, and the reason why our customers choose us again and again for new projects. working methods, individual quality control and fire and work safety. You can find more specific information (in Finnish) about our work in the sections Roof ABC. © Varsinaisbitumi Oy | All rights reserved.